Bravo, Blind Tiger Pub! Bravo! | Do the twisted. Bravo, Blind Tiger Pub! Bravo! 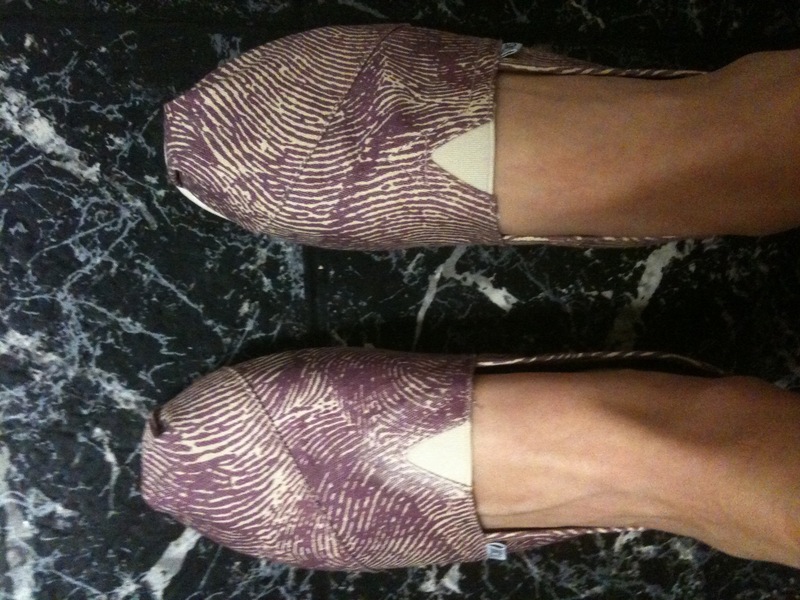 New TOMS courtesy of Blind Tiger Pub in Charleston, SC! I got a pair of shoes because I used a bathroom. Okay, maybe that’s not entirely true, but essentially it is. Here’s the scenario. I used Blind Tiger Pub’s bathroom after it had just been cleaned. Normally, I would be very excited to be the first one to flush, but in this case, my TOMS ended up being bleached from their cleaner. Did I expect new shoes? Not really, but if they gave me money to entirely resolve the situation, then fanfreakintastic. I told the staff and then a few days later, I spoke to the owner. I explained to her what happened, mainly because I felt the floors should be mopped better so it wouldn’t happen to someone else. First, she scored points for saying they shouldn’t be using bleach in the first place because it’s harmful to us AND the environment. Then, she told me they were going to write me a check so I could get a new pair of shoes. I didn’t even have to ask! I was super impressed with how she handled the situation. Now, I shall sing their praises everywhere I go and give them more of my business. Listening and resolving a customer situation in a positive way only builds the relationship. I wish and hope all companies follow in Blind Tiger Pub’s footsteps, minus the bleach.